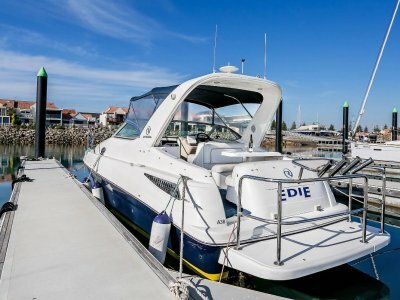 Combining comfort with performance, this wonderfully refined vessel offers the sweetest of rides leaving you in full control and confident in the knowledge that you are driving the best mid-sized Sport Cruiser on the market today. Step on board the fully moulded boarding platform and you will be immediately impressed with the sheer size of the cockpit, leaving no doubt that this is a vessel to be enjoyed by many. Featuring an extensive seating area, the Sunrunner 3100 allows you to enjoy those long hot days in total comfort with complete shade that could only be derived from a rear facing targa arch and quality covers. 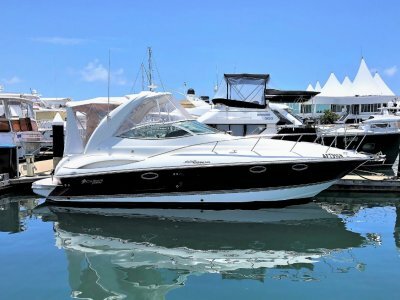 Everything is located so close to hand, ice box, sink, hot/cold shower, even the walk around side decks are easily accessed to maximise your enjoyment on the water. 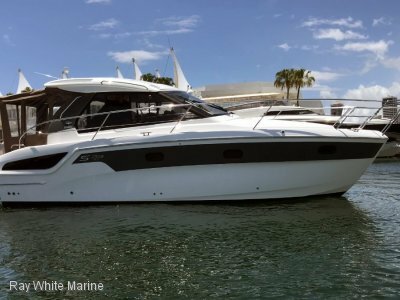 Internally the Sunrunner 3100 offers full headroom, large bathroom, convertible dinette, aft cabin complete with side lounge, and portholes everywhere for maximum flow through ventilation and comfort. 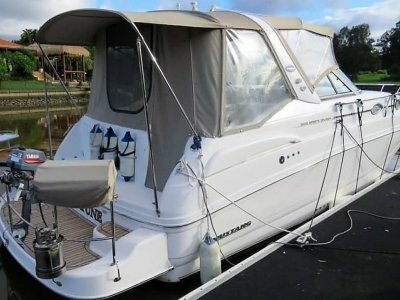 The gourmet galley features all the comforts of home, whilst the fully moulded internal liners offer the freshest and cleanest of looks, with the added benefit of increased strength and noise suppression. 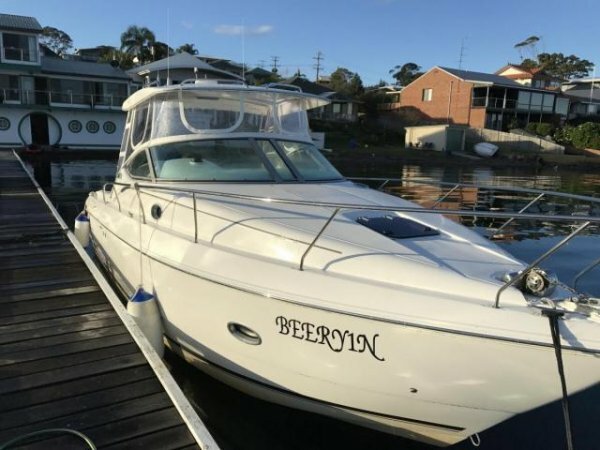 Parties interested in any Ray White Marine services and/or products should make their own inquiries to verify the information contained herein.